Service providers vie for market control—and turn to open platforms to make it happen. EcoFactor is joining iControl’s device-agnostic OpenHome Partner Program, which will bring cloud-based HVAC control and data analytics to iControl’s suite of services. The partnership is new, but the relationship is not. EcoFactor and iControl are already teamed up through Comcast’s Xfinity home platform. Comcast’s venture arm is an investor in iControl and uses its platform to run the Xfinity offering, which includes EcoFactor’s service branded as EcoSaver. But Comcast could be just the beginning -- iControl also counts ADT, Cox, Rogers, Swisscom, and Time Warner Cable amongst its customers. Now that EcoFactor, a software-as-a-service company, is on board, iControl will be adding additional thermostats that can run EcoFactor’s software. Of course, EcoFactor is only the energy efficiency piece of a larger home automation play. A few years ago, it became clear that companies like iControl would have a hard time selling their platforms to customers without strategic partners, especially if hardware costs were high. But iControl's relationship-building process was already in the works. Since then, iControl has racked up strategic partners, including some of the biggest service providers in North America. Competition is heating up, however. Alarm.com uses EnergyHub for its energy offerings and has raised $136 million for connected-home services. Home security company Vivint is also offering third-party financed residential solar. 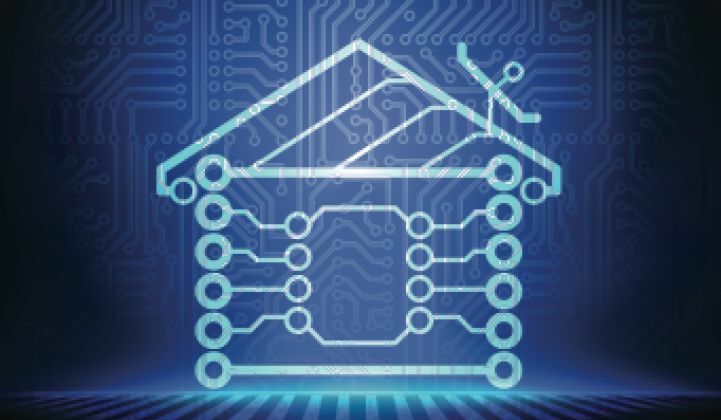 Fagenson said EcoFactor’s integration with iControl offers service providers a turnkey solution to bring white-labeled energy management into smart home packages, but they will still be able to differentiate their products via pricing and unique user interfaces. Utilities are, to some extent, sitting on the sidelines and watching. But they like what they see. Utilities are eager to leverage thermostats in their territories for demand response while someone else manages the customer relationship. While players like Alarm.com and thermostat makers like Nest are already playing that game, service providers have yet to jump in feet-first. A bad experience with demand response could mean not just canceling your energy efficiency service, but switching providers altogether -- so cable providers are understandably careful about how and when to get involved. As cable companies struggle to hold on to customers leaving in droves for TV on the internet, additional services must be value-adds and not headaches. Service providers are just discovering with home automation that the potential for those services could explode the triple-play bundle into a hexa-play. In states with retail choice for electricity, look for hexa-plays to eventually include kilowatt-hours too.